These days, dogs and cats are often considered members of the family—our four-legged furry kids! We do many things to help keep them healthy, including vaccinations, heartworm prevention and quality nutrition. But how often do we pay attention to their mouths? Usually owners only think about their pets’ mouths when they notice a problem, such as a pet appearing to be in pain or not eating. Owners also may be reminded about their pets’ mouths when a veterinarian makes a recommendation for oral or dental care. A veterinarian’s recommendation for good oral care comes from the knowledge that an unhealthy mouth can impact the rest of a pet’s body. Two words come to mind when thinking about oral and dental disease—infection and pain! The sticky plaque that collects on teeth (and eventually hardens into tartar or calculus) that have not been properly cared for contains mostly bacteria. Thus, the periodontalRelating to or affecting tissue and structures surrounding and supporting the teeth. (gum) disease that results from plaque buildup is considered an infectious disease. If not removed by professional cleaning and daily home care, these bacteria can cause destruction of the gums, ligaments and bone around teeth, eventually leading to tooth loss. These bacteria not only cause infection, swelling and redness of the gums and tissues around the teeth but they can get into the bloodstream and airways and have been associated with infections and inflammation in other organs, like heart valves, the liver and kidneys. 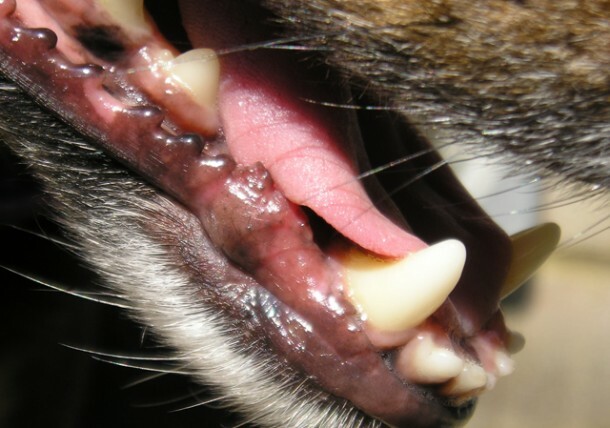 Periodontal disease can cause discomfort and pain in your pet, affecting the way they eat and groom themselves, and it can certainly make their breath smell horrible. Pain also may occur if there is ever any injury or damage to the teeth themselves. A broken tooth or an erosion into the tooth (sometimes seen in cats) can expose the nerve of the pulp in the inside of the tooth. Anyone who has experienced pain from an exposed tooth nerve can tell you how excruciating that can be! Many of our pets try to hide that pain, however, so regular examinations are important to find potentially hidden problems. Providing a complete program of oral care relies on teamwork from your veterinarian and technician at the clinic you visit and from you and your pet as well. Regular examinations, professional care and home care are the three important parts of this program. Scheduled yearly examinations of the oral cavity should be part of a comprehensive wellness and prevention effort instead of just dealing with problems when they become apparent. 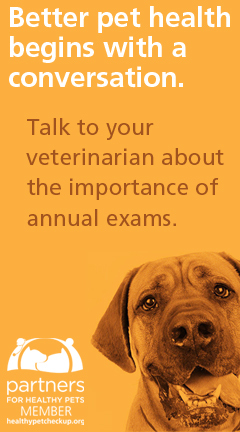 From those examinations, your veterinarian will make recommendations for professional care the clinic can provide, including complete cleaning, assessment and treatment under general anesthesiaAnesthesia that affects the whole body and usually induces a loss of consciousness.. General anesthesia is required for optimal care; it allows veterinarians or their technicians to obtain radiographs so they can look for problems hidden under the gums and to complete examinations and treatment with dental instruments. Some clinics will offer anesthesia-free services, performing scraping of the teeth with dental instruments without polishing with an ultrasonic polisher afterwards. Cleaning without anesthesia could help remove tartar and plaque from the tooth surfaces, but it is impossible to do complete care on an awake, not to mention squirming and nervous, patient. These services can actually leave more damage to the teeth than before. We are fortunate to have several veterinary dental specialists in Texas who can provide more advanced dental care such as endodontics (root canal therapy) for tooth fractures, orthodontics for malocclusions, restorative dentistry for cavities and oral surgery for jaw fractures or oral tumors. While yearly professional treatments can certainly make a difference, so can regular, effective home care that you provide your pet. Your veterinary team is the best resource to help you select the optimal home care program, depending on your pet and your capabilities. While daily brushing with a toothpaste designated specifically for dogs or cats is the best method of plaque and tartar control in between cleanings, other options can be considered for those days that brushing is not going to happen. Specific dental chews (avoid hard objects that can break teeth), oral solutions and water additives have been shown to help slow down the accumulation of plaque and tartar. 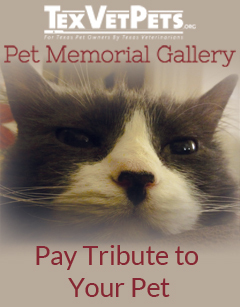 There are many choices out there, so be sure to ask your veterinary team what would be best for your pet. With good dental care from puppyhood or kittenhood through the senior years, you can make a difference in the quality of life for your family pet. In my opinion, as a veterinary dental specialist, I believe you can even improve the lifespan of these important family members as well, keeping them around and as healthy as possible for years to come. Dr. Heidi Lobprise, DAVDC (Diplomate, American Veterinary Dental College), practices dental specialty at Main Street Veterinary Hospital.